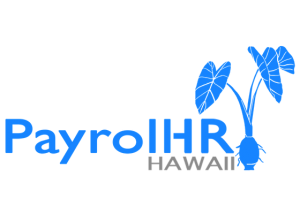 As a PEO, we are often asked the question by Client Employers, “when do I have to provide medical insurance for my employees?” The answer is, the employee becomes eligible for group health insurance when the employee works 20 or more hours per week for 4 consecutive weeks (and earn a monthly wage of at least 86.67 times the Hawaii minimum hourly wage, $802, at the time of this writing). This means once those eligibility requirements have been met, you (the employer), must provide health care coverage to the eligible employee, at the earliest enrollment date of your healthcare contractor. Generally the 1st of the upcoming month. Hire employees on a part-time or casual basis, scheduling them for 19 hours or less per week. Pay employees cash aka “under the table”, definitely not recommended, and out of compliance. Partial hours on payroll (19 hours or below), partial hours “under the table”, again definitely not recommended and out of compliance. Tell the employee to waive their rights to medical insurance on Hawaii’s form HC-5, again definitely not recommended and out of compliance. Since items #3, #4, and #5 are out of compliance, there’s really no need for further discussion on those items, other than to say – DON’T DO IT!. It displays a lack of integrity upon you, the business owner, and demonstrates your unwillingness to take on the responsibilities of a true business owner. In addition, you have lowered the standards of the playing field in your industry. Items #1 and #2 are within the guidelines of the law, and oftentimes, that’s just what you have to do as a business owner just to survive, especially in your first few years of business. At the same time, items #1 and #2 come with employee challenges: lack of, or lower loyalty, higher turnovers, and lower number of desirable candidates. Let’s face it, generally smart, highly desirable employees want, not only better pay, but good benefits. When there’s less benefits, employees are more likely to jump ship and go elsewhere that offers more attractive benefits. If cashflow is an issue for your business, a healthier alternative, is to start off new employees utilizing #1 or #2 above for a probationary period (i.e. 3 months). This at least keeps some of your costs down, at the same time giving you, the employer the opportunity to see if the employee is a good fit and a good investment for your company. Once that “probationary period” has passed, graduate to providing the minimum health insurance coverage while staying within the state’s requirements. This gives more incentives to employees by giving them room to grow into more coverage and benefits based upon their performance, and your business growth. So your next question might be, “what insurance carrier do I go with to provide the minimum requirements and how much to do I have to pay?” See the prior blog post covering the first part of that question. 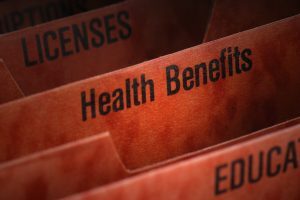 For the second part of the question, in Hawaii, per State of Hawaii, Department of Labor, “employers must pay at least 50% of the health insurance premium cost, but the employees’ share cannot exceed the lesser of 50% of the premium cost or 1.5% of the employees’ monthly gross earnings”. If this is just more than you want to deal with, and you really just want to get back to work and serve your clients, contact us and we’ll be happy to handle these types of issues as well as your payroll, so you can get back to doing what you do best! July 20, 2017 a new owner took over this small business. I was promised a full-time position @ $12 per hr & medical. I’ve worked 38+ hours per week since then. I’m pretty healthy, only took one day off for a bad cold. I’ve never needed to see a doctor but recently I pulled a leg muscle & asked my employer who is my medical insurance provider so I can get my leg checked. He said there is none, they’re too expensive & not in his budget. He also said why don’t I go get Quest like 2 of my fellow employees who are also receiving state assistance. I suggested he contact a medical insurance broker. No response. We have only 3.5 employees. I’m afraid he’ll cut my hours or fire me at will. What can I do?